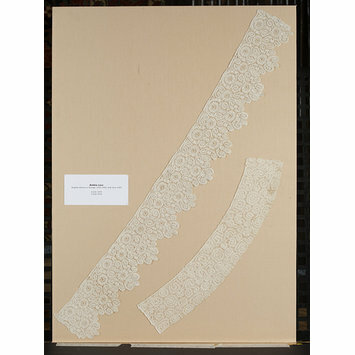 Bobbin lace border which is deep, straight edged and slightly curved. 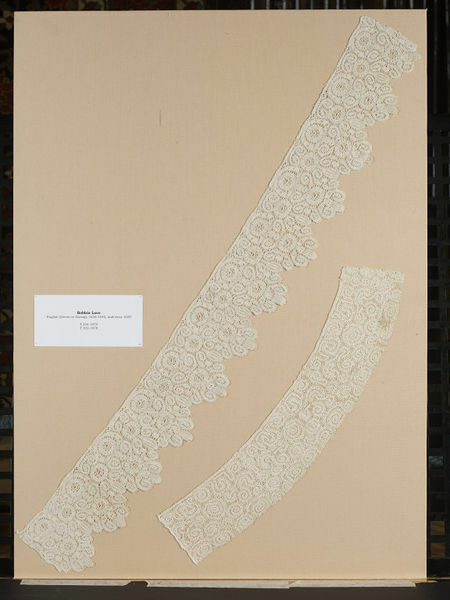 It is filled with tightly packed coils and squiggles of tape and is worked in cloth stitch with some decorative openings. Each pattern piece has a narrow openwork edging which forms small areas of mesh where they are sewn together.